PILATES TRAINING IS PERFECT FOR EVERY BODY. The Pilates Method is based on a systematic, integrated approach to movement and can be enjoyed by everyone, no matter what your physical fitness abilities are or what your limitations are. Pilates practitioners notice improved flexibility, strength, centering, stabilization and stamina. Begin your journey to injury prevention, performance enhancement, and keeping your body’s frame lasting a lifetime. Training on the reformer/tower available at VIP Pilates . Please contact us to schedule your training today. Customized small group training is also available. Please contact us if you would like to create a small group training. Gift certificates are available and discounts apply for multiple training sessions purchased. I would like to share my success after training with Monica McMahon. I am a dire hard weights and spin girl, and I knew I had to change my routine because my flexibility and posture were really suffering. In December a flyer introducing Monica was placed on the pilates studio door. She is from my hometown so I had to meet her. 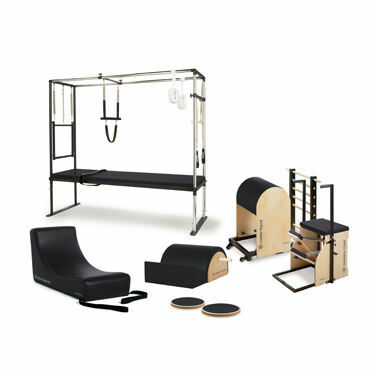 After meeting her and being invited to try the reformer, I was hooked. Not only is Monica friendly, fun and very professional, her classes are athletic and challenging. I have been taking private small classes, barre, and duet reformer classes for six months with Monica, and I have really seen and felt a difference in my flexibility and posture. Sign up Today to start your pilates training!